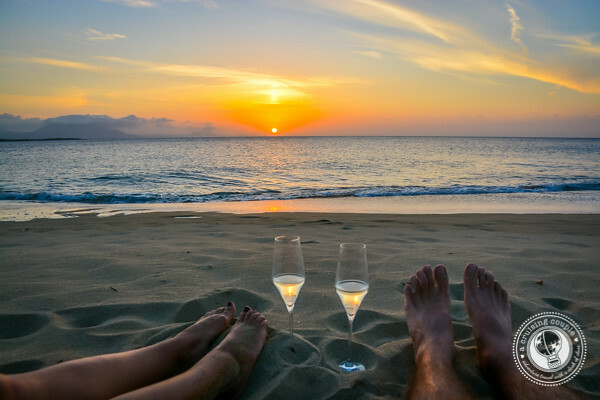 For the past five years, we’ve celebrated each of our wedding anniversaries in a new destination. Given our lifestyle and penchant for wanderlust, it’s hardly any surprise that to us, there’s no better way to celebrate another year together than by making more travel memories! This year, we decided to drink to special year number five in the Dominican Republic. 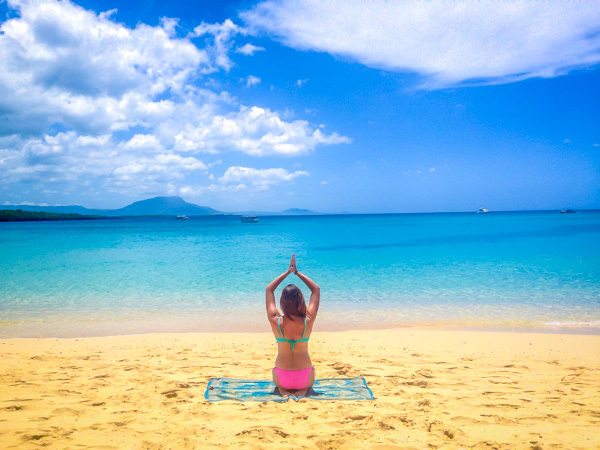 This was in large part due to the fact that we won an auction for five nights at the spectacular Casa Veintiuno, a boutique bed and breakfast in Sosua. More on that to come soon! 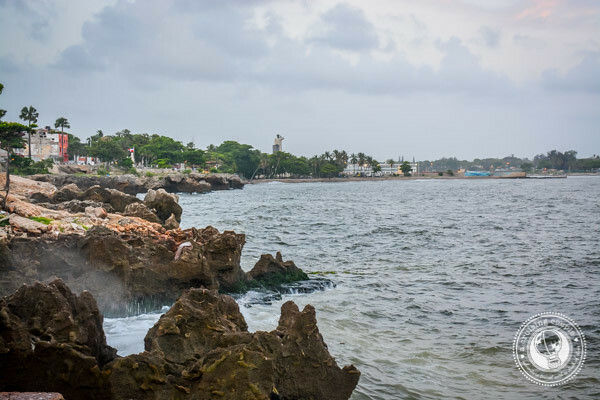 To bookend our beach adventures, we spent a bit of time exploring charming Santo Domingo. 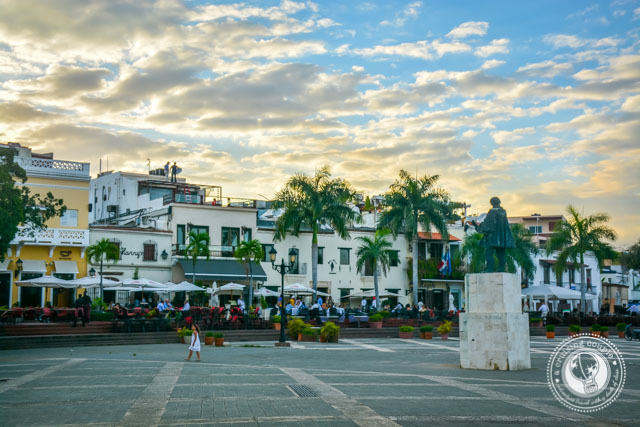 The Dominican Republic’s capital city and the oldest European settlement in the Americas, Santo Domingo is renowned for its long history, rich culture and vibrant art scene—all things that we love. 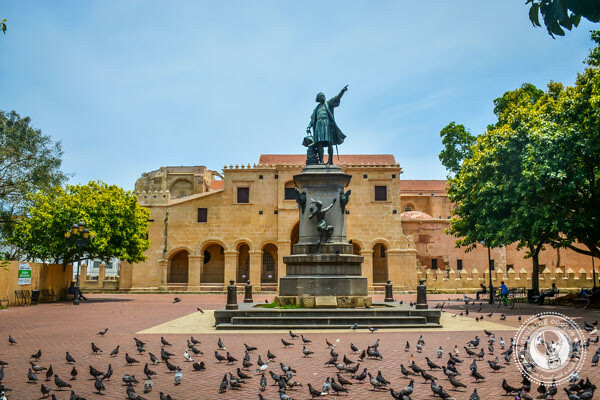 The highlight of any visit to Santo Domingo is easily the Zona Colonial. 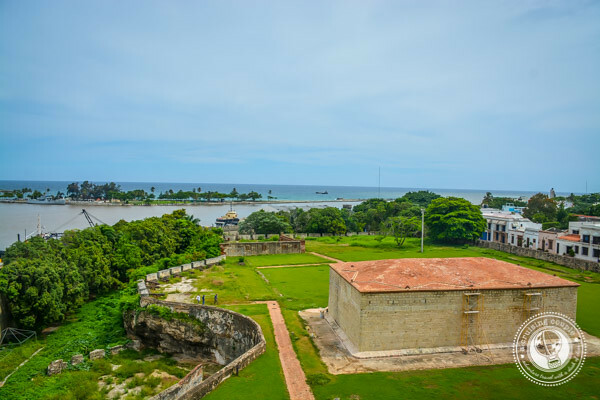 This romantic historic zone is home to some of the oldest buildings in the Americas, many of which boast UNESCO World Heritage status. 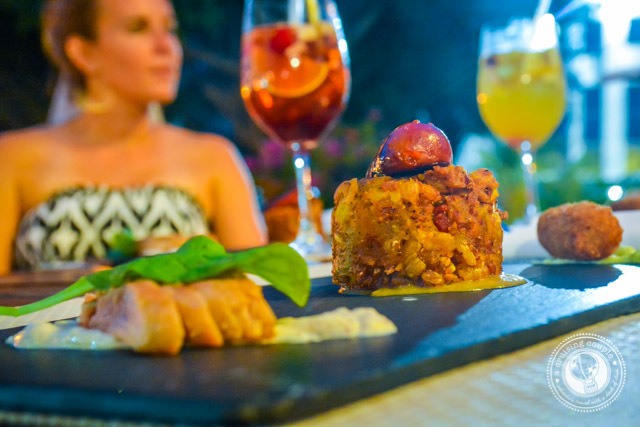 What’s more, you’ll also find many of Santo Domingo’s best restaurants, hotels and boutiques conveniently located here. 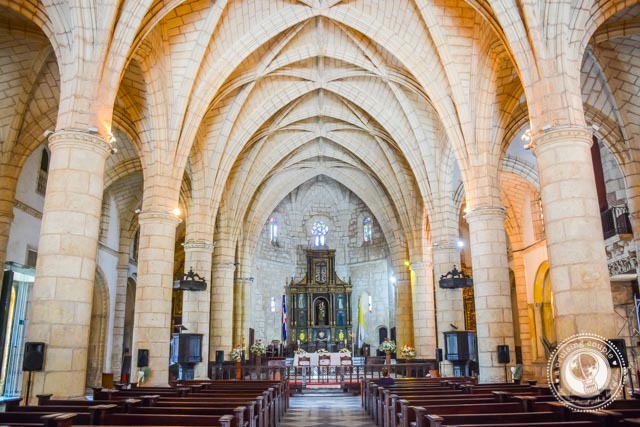 The oldest church in the Americas, both the facade and the interior of the cathedral are absolutely stunning. Many believe the remains of Christopher Colombus rest inside the church (though there is some disagreement about this.) Check out the massive Mahogany doors on your way in—they date back 500 years. 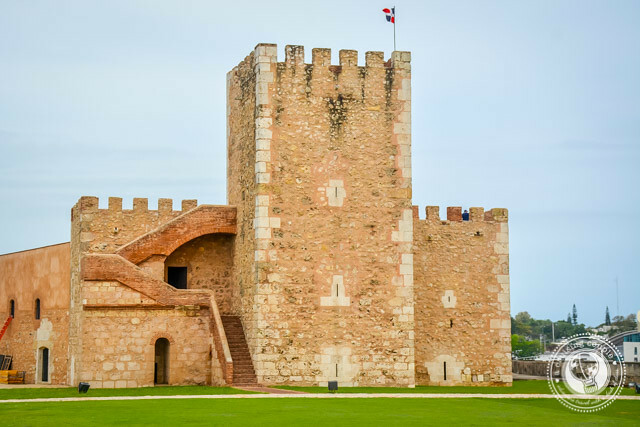 This 16th-century Spanish fort is idyllically perched where the Ozama River and Caribbean meet. It’s the oldest military edifice in the new world; be sure to check out the centuries-old cannons that line the riverside walls. The Monasterio de San Fransisco is particularly magical at night when it’s lit up as a backdrop for jazz concerts and other free events. The monastery has a fascinating history. Since its construction in 1508, the site has been set ablaze, torn down by natural disasters, and even served as a mental asylum. Luckily, our Santo Domingo food tour did not disappoint. 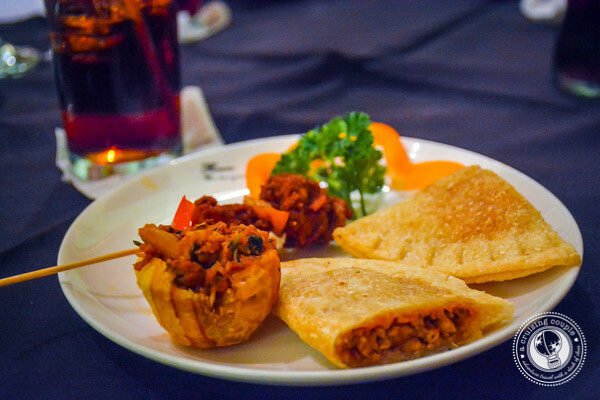 This time around, it was a private four-course walking food tour throughout the Colonial Zone with Tequia Experiences. We visited four restaurants in total, enjoying a different course and cocktail at each one. 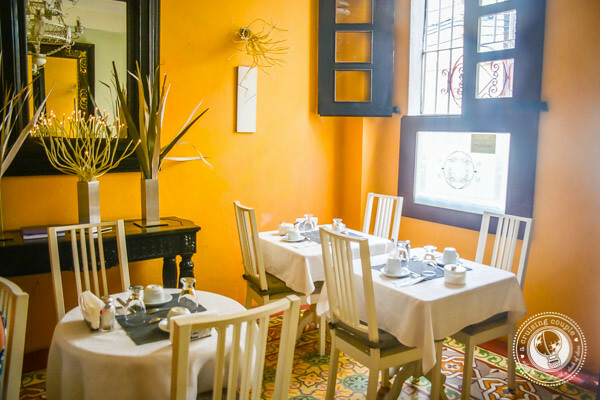 The restaurants were not only known for their mouth-watering cuisine, but their unique historical significance within the Zona Colonial. From the city’s first tavern to a long-time gathering spot for artists and intellectuals, the restaurants we visited with Tequia Experiences were so good that we ended up re-visiting two of them a second time! Our host, Miguel, was a wealth of information on just about any topic relating to the Dominican Republic. Whether it was sharing fascinating details about the long history of Santo Domingo, recounting tales of celebrity sightings, or giving us insider information on the arts and culture scene, it was Miguel’s tales that made us love Santo Domingo so much. In fact, we had such a great time with Miguel that after the official tour was over, we extended the evening with drinks and live jazz. 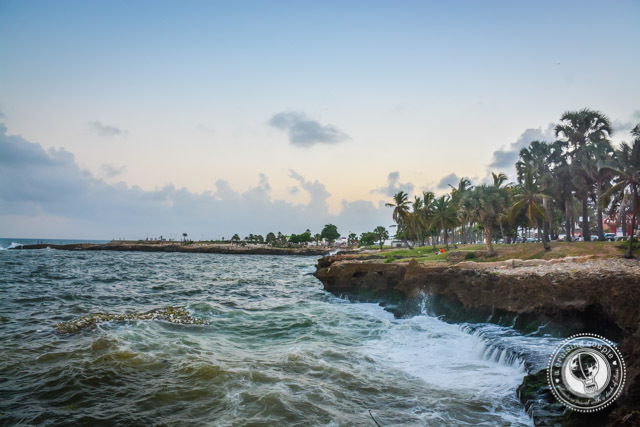 The Malecon is a long oceanfront promenade and popular spot for locals to mingle. It’s a bit gritty and unfortunately, there’s quite a bit of litter in the water, but it is nonetheless an excellent spot to get a fantastic sense of the city’s energy. 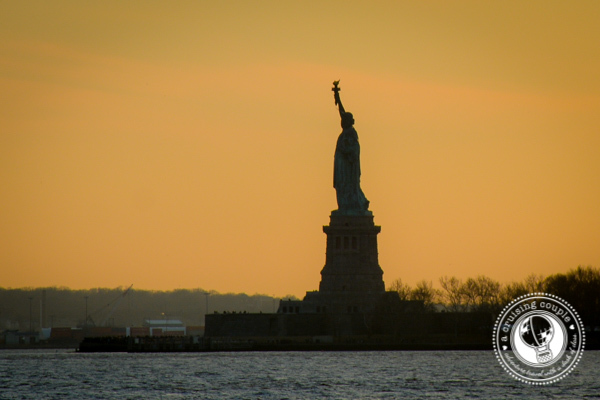 We recommend stopping by in the early evening for optimal people watching and sunset opportunities. The Dominican Republic is known for the precious stones amber and larimar. In fact, larimar is an aquamarine stone that can only be found in the Dominican. Naturally, there are far too many street hawkers selling necklaces and rings. If you want something of high-quality, the best places to look are the Amber and Larimar Museum Gift Shops. 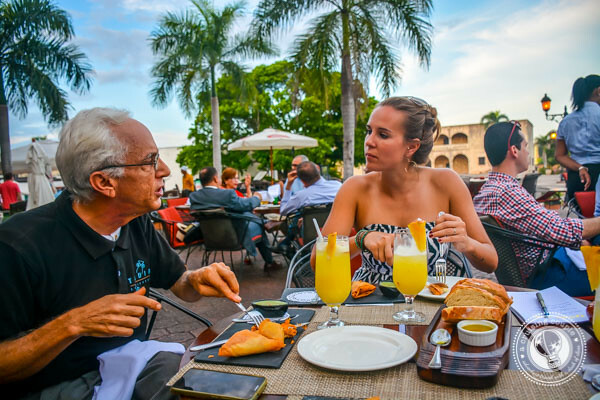 While exploring the Zona Colonial, don’t miss La Alpargateria. This hip boutique sells custom-tailored espadrilles using a variety of fantastic textiles. If you’ve only got 48 hours in Santo Domingo, be sure to stop by first thing so the owner has time to make your custom shoes. For ceramics, stop by Casa Alfarera. The experimental ceramics workshop features many pieces inspired by the rich architecture and culture of Santo Domingo. Dominicans know how to have a good time; you’re likely to find live music no matter what day you visit the city. The country is primarily known for its merengue and bachata music. 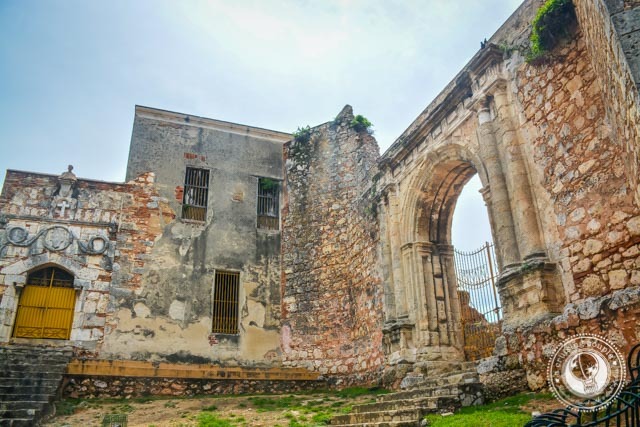 You’ll hear it blaring from corner shops, cars and restaurants throughout Santo Domingo. 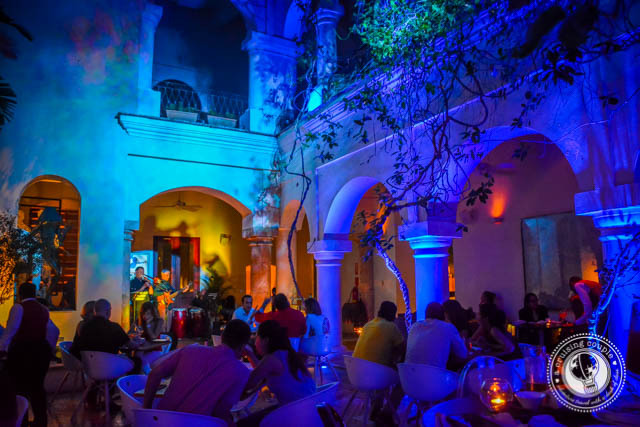 As touched upon previously in the post, Santo Domingo also boasts a fantastic jazz scene, with outdoor concerts and an annual jazz festival. We enjoyed a live performance at Lulu’s, a restaurant in a spectacular Spanish-style plaza. The musicians were fantastic and, as we would later find out, Berkeley School of Music graduates. 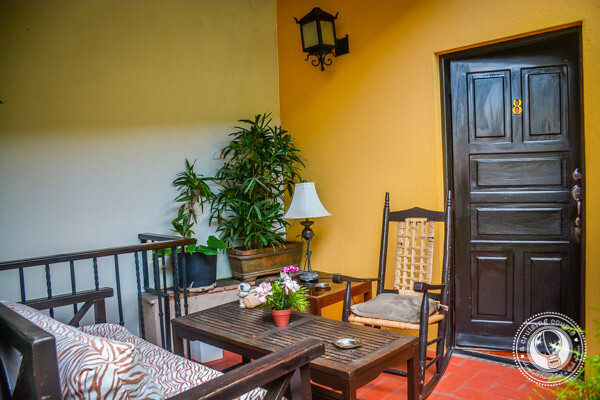 We recommend basing your stay in the Zona Colonial. Not only is the neighborhood one of the safest to walk around due to the large tourist police presence, but the cobbled roads, European-style architecture, long pedestrian street and plethora of sidewalk restaurants make it as romantic as can be. There are quite a few luxury hotels and bed & breakfasts, but we absolutely recommend Casa Naemie. The small, quaint hotel is located smack-dab in the middle of the Colonial Zone and just steps from The Cathedral of Santa Maria la Menor; this was ideal for walking back in the late evening, as well as general accessibility to the must-see attractions. 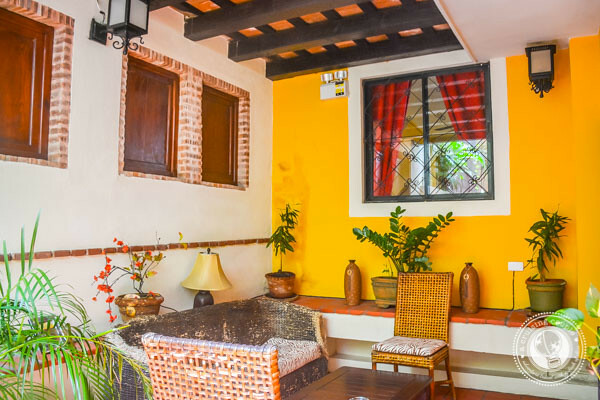 After a few delayed flights we arrived in Santo Domingo much later than anticipated, so we were extra pleased when the staff at Casa Naemie was ready and waiting for us. The rooms are simple but quaint; our room featured a private outdoor lounge, which made the entire space feel much larger. Breakfast was simple with eggs, fruit and fresh juice, but we adored the open-air restaurant space. 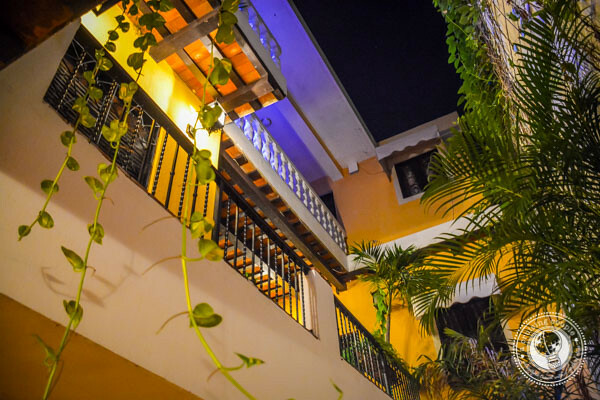 Fast wi-fi, a helpful staff, luxurious bed and extremely reasonable price were all extra reasons we wouldn’t hesitate to return to Casa Naemie in a heartbeat. 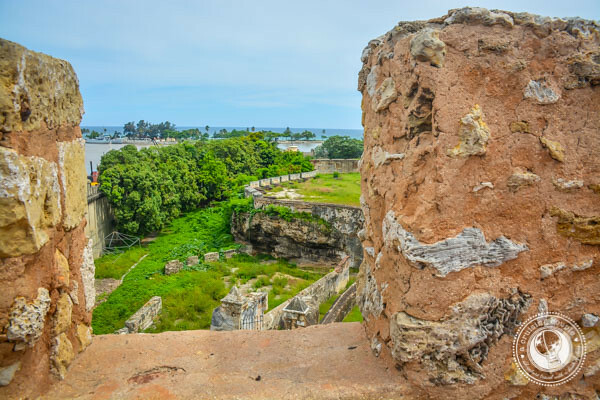 As you can see, there’s plenty to do in Santo Domingo to warrant an extended stay in the capital city! 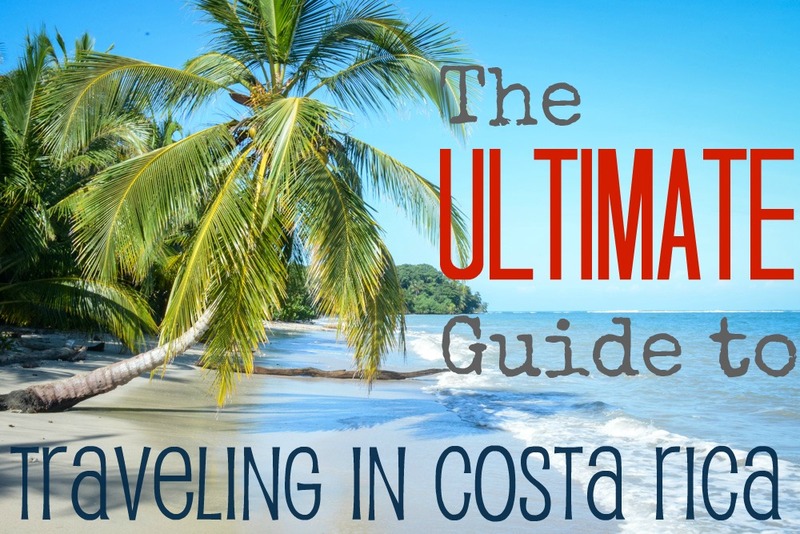 If you’re headed to the Dominican Republic, do not miss this vibrant gem. 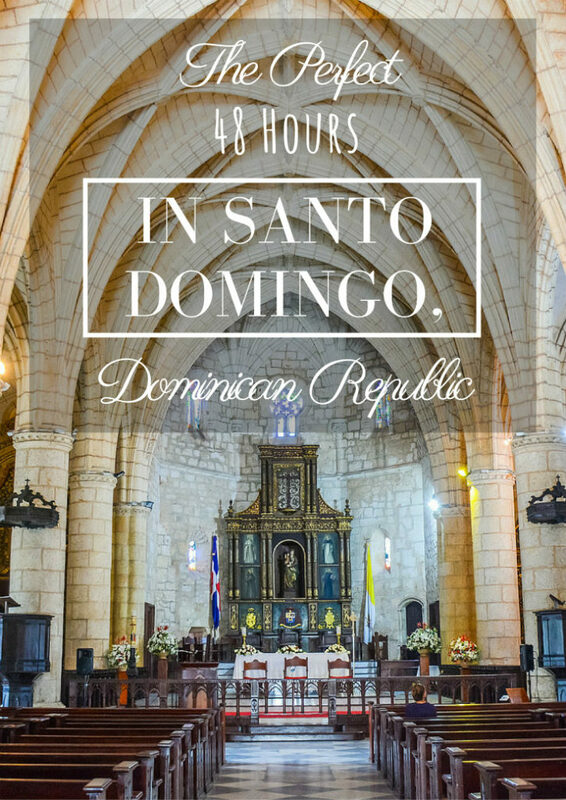 What else would you add to a 48-hour guide to Santo Domingo? 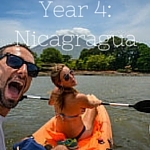 We were guests of Casa Naemie and Tequia Experiences. As always, all thoughts and opinions are our own. 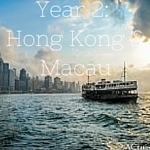 Check out our blog posts from past anniversary trips! What an exciting adventure to celebrate your anniversary! So happy for you. Love you both.